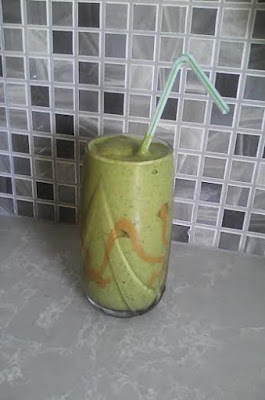 Peanut Butter Green Smoothie - No Way That's Healthy! Blend the spinach with the milk till it is blended well. Add in the rest of the ingredients except for the water. Blend and if it is too thick, slowly add in the water. Wow its looking so delicious I really like the post as I like the green colour most and now I want to try this as soon as I can.Thanks for sharing its recipe with us.